Good point! Thanks Ms Vaturi. Instead of going by the shape of the pieces to identify the game, why not look at the shape of the board. And a clue to the shape of the board is in the width of the bench. Yes - the bench appears to be far too narrow to support a square board, and the latter - on close inspection - looks, what, two or three squares wide. So the board must be oblong, or "rectangular" as Ms Vaturi puts it. ...though it comes in other sizes and styles, including a de luxe version in the British Museum complete with integral drawer for the counters. 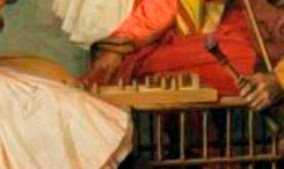 The game was played as if an early form of Backgammon. It is a two person race moving your 5 pieces in the same direction as your opponent along the three files of ten squares - which are run-on to make one track of 30. On your turn you throw a set of four two-sided sticks (dice not required) to determine what steps your men may make (or maybe not); you can displace your opponent's men (unless they are protected), and several squares attract penalties or rewards if you land on them. The aim is to get all your pieces off the end of the track before your opponent. These and other elaborate rules allow for considerable discretion and skill in how you progress your men - and a decent amount of malice to thwart your opponent (sounds familiar); but, alas, there is not time in this post for further explanation. You will find here, on YouTube, a straightforward Senet primer; and apparently you can play online these days. 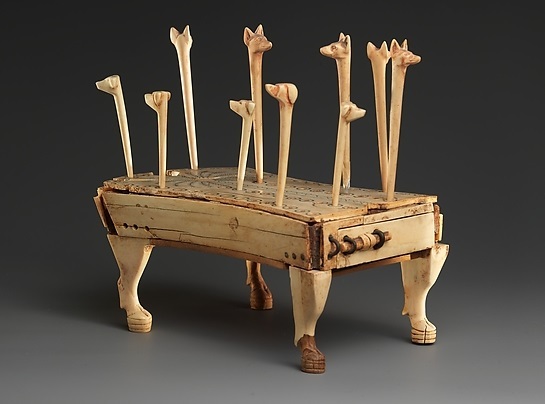 Senet itself was hugely popular, and classless, and was essential entertainment for Egyptian Kings and Queens during their passage to the afterlife - they were accordingly furnished with sets in their burial chambers. Over time this narrative was incorporated into the game itself. "The image of the sun god on the final square signified rebirth....and whoever moved all of the pieces off the board first [and so win the game - MS] would supposedly take his place with the gods" (according to the Eloquent Peasant - a blogger on Ancient Egypt here): a culmination that rather beats killing the king here on earth, as in our own royal game. 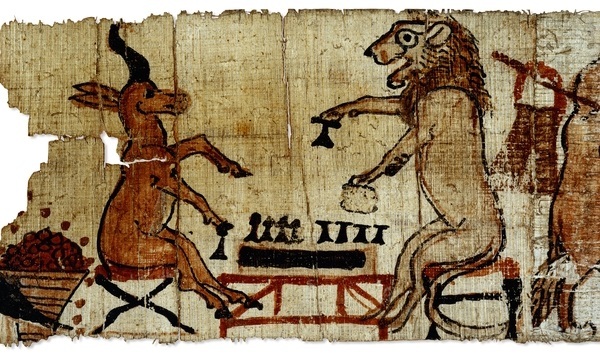 I was delighted to find that there are examples of Senet in Art (suggesting new directions for future posts?). The image below is said to be satirical, for which lèse-majeste the perpetrator might, one would think, have risked a summary despatch to the afterlife - without the company of the gods. "Irving Finkel (2007) [See Note] discusses the conditions and motivations surrounding the emergence of board games: ‘from the context of their discovery, it is evident that their appearance on the stage of human social evolution coincides with the development of structured and sedentary communal living, associated with shared responsibility and labour. It is under these circumstances that leisure first makes itself apparent, and it is surely leisure that is the prime requirement for the invention and play of board games. In India, there is a prime and eloquent word for this, namely “time-pass”. It has probably always been largely time-pass that has governed the role of board games in the world’. Games, like life, combine both skill and chance, and they embody a number of primal human preoccupations: survival, competition, the battle, the hunt, the race, social organisation, and counting." ...on a YouTube video giving a lecture on yet another ancient game. The video is here, and/or below. She appears at 49 minutes and 35 seconds, until 1hour 30 or so (and see the Note at the end of the post for what else is on it). Of course, as as part of my Chess in Art remit, I took it upon myself to ask on your behalf if she played chess, but she said her game was Hounds and Jackals (a kind of Ancient Egyptian snakes and ladders), which is the subject of her talk in the video. With her specialist expertise she must be a Grandmaster of this obscure game. Possibly the only one. For appearance it knocks chess into a cocked hat. To finish this post we go back to where we came in, with Gérôme's painting in the Wallace Collection of Arnauts allegedly playing draughts, or even chess. It transpired that Ms Vaturi had not yet put to the Wallace her suggestion that the game is Senet - in fact I jumped the gun a bit by doing so myself. The Wallace came back to me with thanks, but frankly admitted that they were unable to come to a "proper opinion" as the matter was beyond their in-house resources. At which point your Blogger oiled the wheels and offered to put them in contact with Anne-Elizabeth. She generously consented, for which the Wallace Collection was extremely grateful. So, we'll keep an eye on the Comments Box in the hope of further developments. Thanks again to Anne-Elizabeth Vaturi for commenting on the Gérôme post, and responding to my email, and also to Dr Chistoph Martin Vogtherr, Director at the Wallace Collection; and to the Eloquent Peasant. 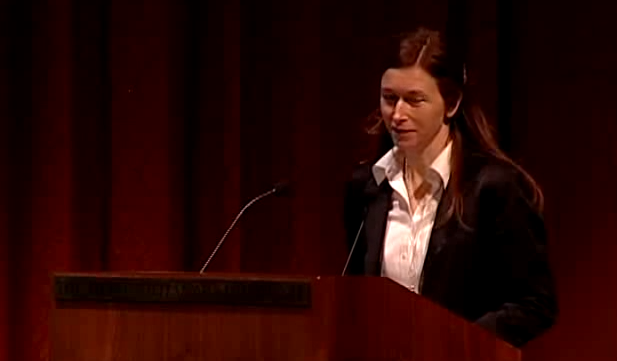 Note on the YouTube video: It shows three talks at the MMA. The first is by Irving Finkel (mentioned in the long quote above) who is at the British Museum and their expert on the Lewis Chessmen; but here he talks about how board games get disseminated. The second is by Anne-Elizabeth on her specialist subject. Finally, and interestingly, there is Anna Contadini of SOAS in London on the ancient history of chess pieces. Gerard Ackerman. Vie et l'oeuvre de Jean-Léon Gérôme. Courbevoie (2000). See also his Jean-Léon Gérôme: His Life, His Work. ACR Poche Couleur (1997). 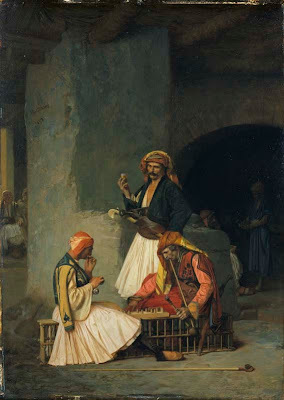 Although the Wallace Collection actually labels the painting as "Arnauts Playing Draughts", Ackerman ignores this and shows the very same painting in his books with the title "Arnauts Playing Chess".